"Two Face is my beautiful little boy. He was a rescue and his papers say Jack Russel mix. 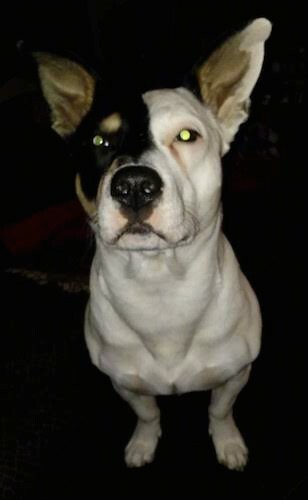 We have had a few vets tell us he might be mixed with either Pit Bull or Bull Terrier. " 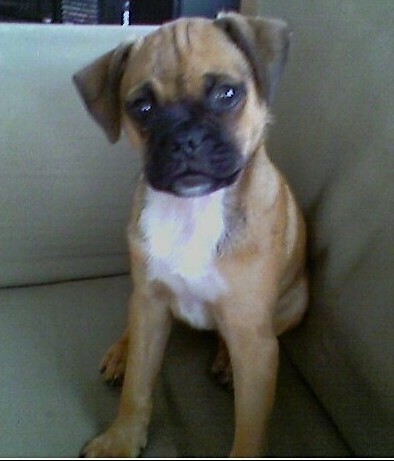 "This is Tootie the Jug as a puppy at 3 months old. She is a Jack Russel / Pug mix. She has been a great delight to have in our home. Tootie is extremely intelligent and energetic. It was love at first sight with her and my son (4 years old). Everywhere we take her we are literally stopped by people off the street because she is just sooo CUTE. At times she can be sneaky and tries to get away with things she should not be doing. She fits in well with my kids. lol. We love Tootie very much!"